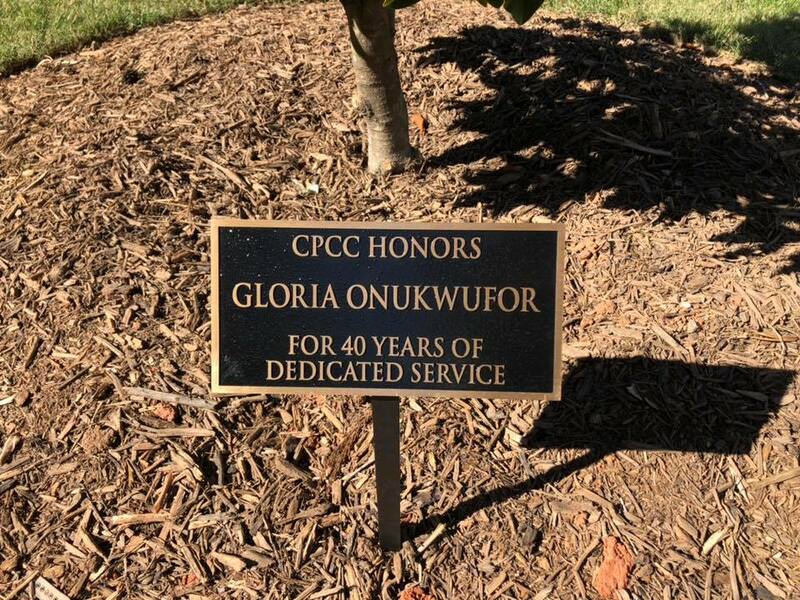 Recently, the library’s Gloria Onukwufor was recognized for 40 years of service with CPCC! 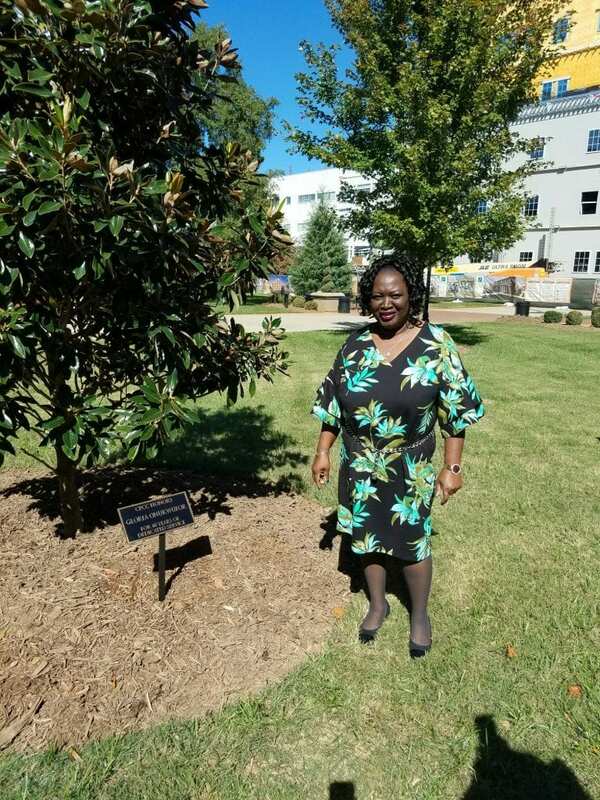 In addition to being honored at the president’s forum earlier this year, she was also presented with a magnolia tree and plaque on Central campus. Congratulations Gloria! Are you preparing to take an exam such as the ACT, SAT, TEAS, TOEFL, or a licensing or certification test? Need to brush up on your math or reading skills? Our resources of the month can help you! We have 2 test prep resources that can help you with all of the above and more. 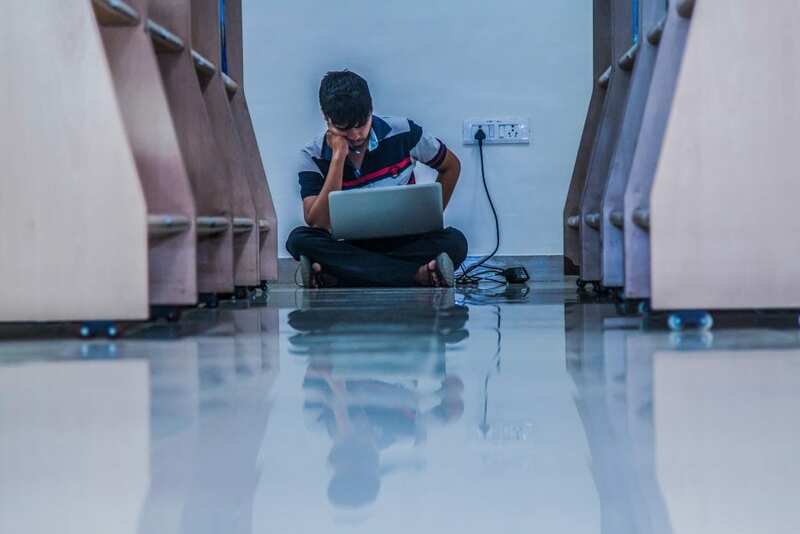 Testing and Education Reference Center – Includes in-depth information on college,graduate, and professional programs, professional training, scholarships, and entrance tests alongside practice tests for entrance exams, certifications, and licensing exams. If you need a TEAS practice test, this is the resource for you! PrepStep – Practice tests, exercises, skill-building courses, and information for students & adult learners. Practice tests include immediate scoring, complete answer explanations, and an individualized analysis of your results. Standardized tests covered include CLEP, GED, SAT, ACT, US Citizenship and licensing tests for various careers. Basic skills in math and English are also included. 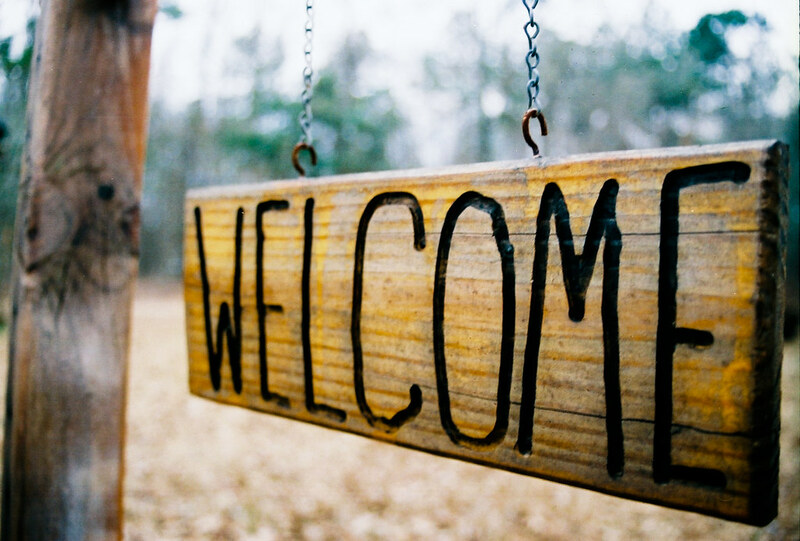 Welcome to the Fall 2018 semester! 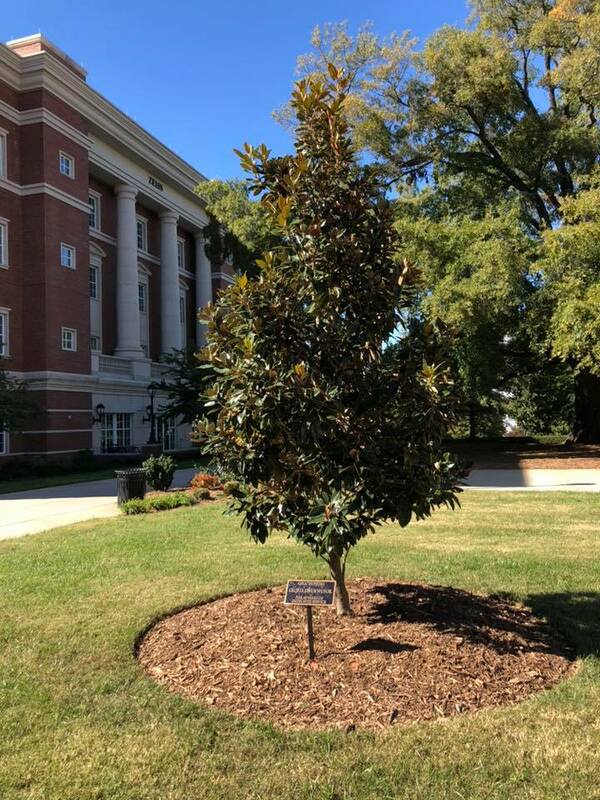 With the beginning of a new semester, we’d just like to take some time to remind you of a few of the services that the library has to offer, as well as highlight a few recent changes. 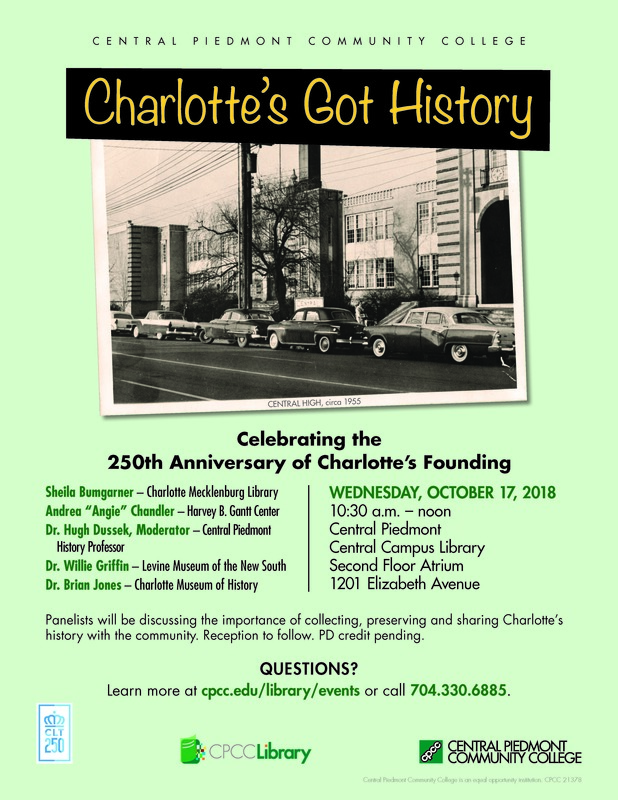 We have a new online catalog that allows you to search for both articles and books or DVDs available in the library (or in electronic format), all at once. Check it out here. 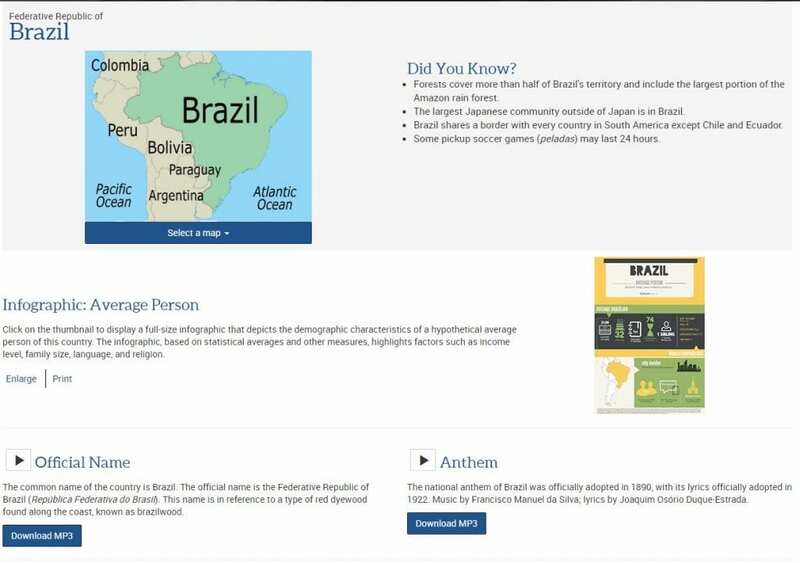 You might also be interested in checking out some of our online resources available on our Research Databases page. Need help using any of our resources? Don’t be afraid to Ask a Librarian! Library staff are available to help in person, over the phone or online. 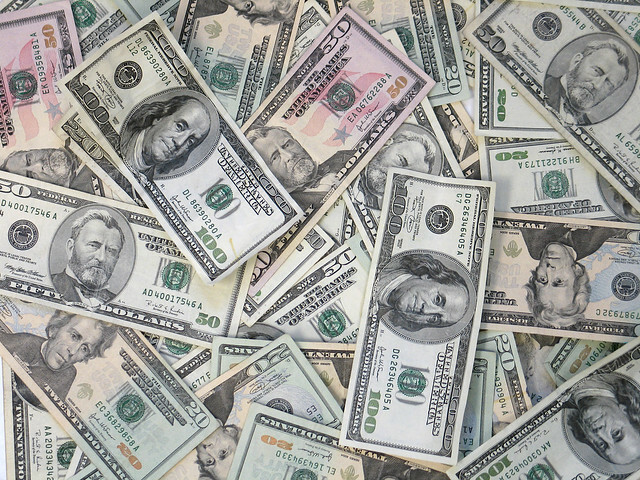 Unfortunately, online book renewals and placing online holds are not working right now. 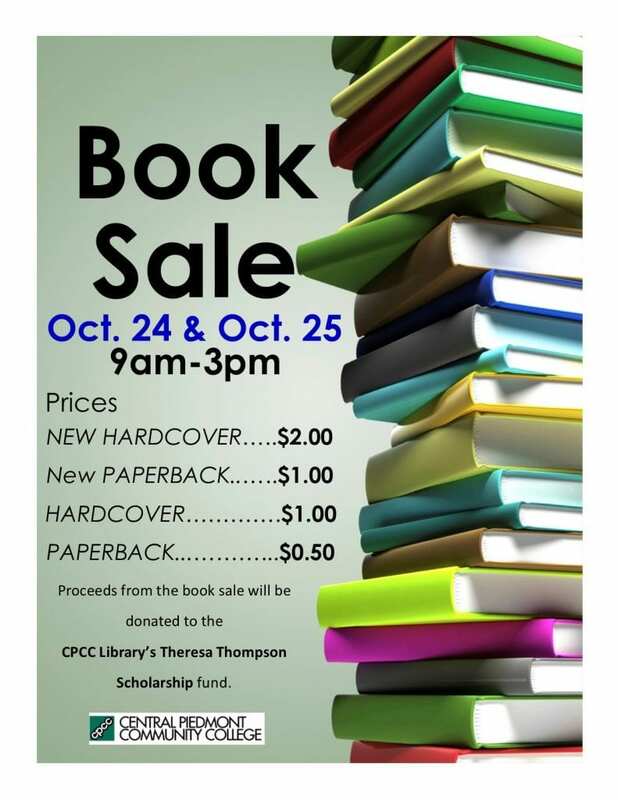 However, you may contact any CPCC Library location to place a hold or ask to have your books renewed. Need a quiet place to study? 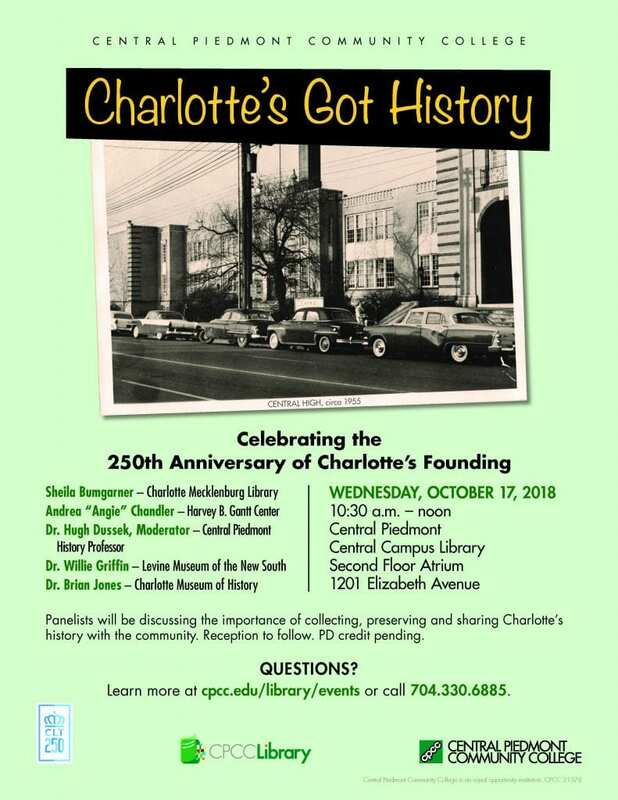 All CPCC campus libraries have dedicated quiet study spaces. Additionally, Central, Cato, Harris and Levine campuses have study rooms available. You can book these study rooms yourself online. Book early though, as they tend to fill up quickly! We also offer a number of resources just for faculty. Be sure to check out our Faculty Resources page to see what we can offer you. 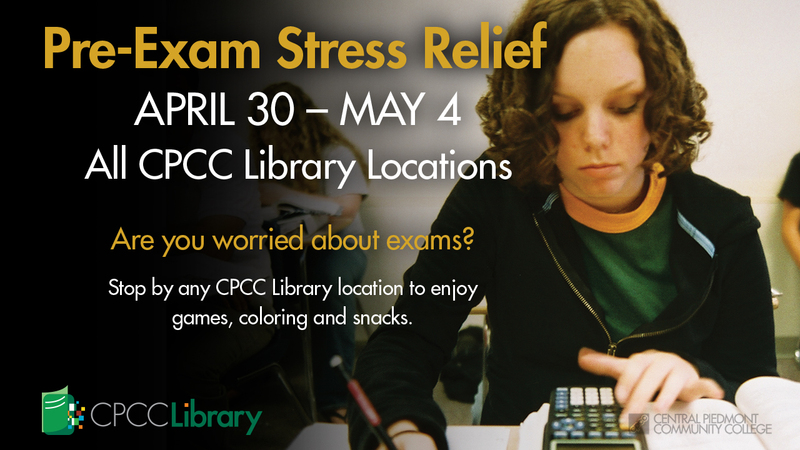 Exam Stress Relief is Coming!